McCallie School senior swimmer Jake Marcum swam to a National Juniors Title Wednesday in the 200 backstroke at the NCSA Junior National Championships in Orlando, Fla.
Marcum's winning time of 1:42.80 meets Senior Nationals qualifying time and is a McCallie-GPS Aquatics club record. 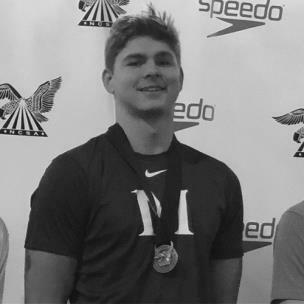 An Indiana University signee, Marcum won the 2019 Tennessee State Championship in the 200 freestyle in February and led the Blue Tornado to the team title. McCallie has a school-record six swimmers competing this week at the Junior Nationals.